Courtesy of Colorado Landmark-Boulder, Michelle Clifford. Live the dream! Purchase this 78 acre property which is comprised of a commercial parcel and a residential/agricultural parcel in Red Feather Lakes! Orville’s restaurant and brand new bar provides income along with the RV camping facilities. The back half of the property could be your dream home or other flexible functionality. Note this sale is cross listed as the restaurant land and back residential land available separately. Make your dream come to life here! 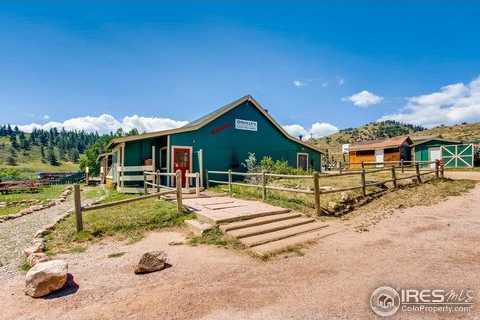 Please, send me more information on this property: MLS# 860276 – $1,100,000 – 98 Eiger Rd, Livermore, CO 80536. I would like to schedule a showing appointment for this property: MLS# 860276 – $1,100,000 – 98 Eiger Rd, Livermore, CO 80536.